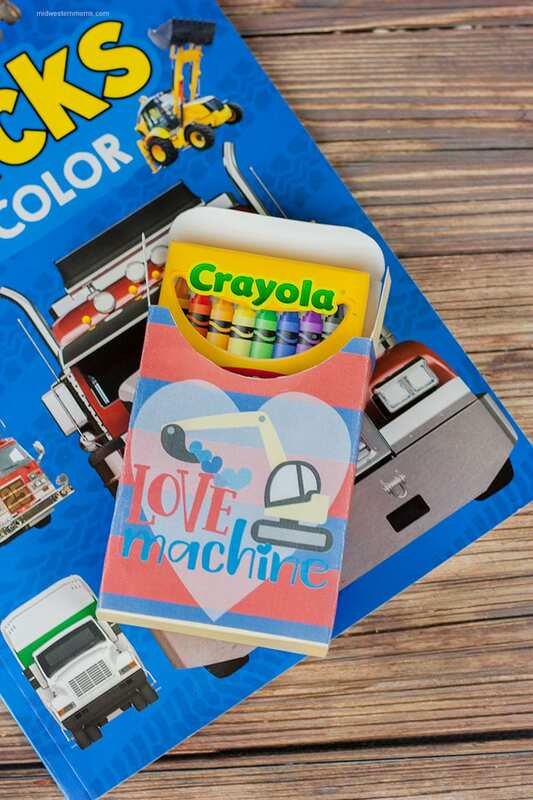 Valentine’s Day Crayon Box Printable – The Perfect Non-Candy Valentine’s Day Gift Idea. Boys are hard to buy for on Valentine’s Day. However, this crayon box is perfect! What little boy doesn’t like construction equipment? Pairing this with a coloring book makes a great gift idea! Once you get your printable (details below), you will want to print it out on card stock. After printing, use scissors to cut along the outside of the printable. Fold along the lines and then apply glue to the tab indicated. I used a glue stick for this, less mess. After the glue is dried, fold in the bottom. Place your crayons inside and close it up. 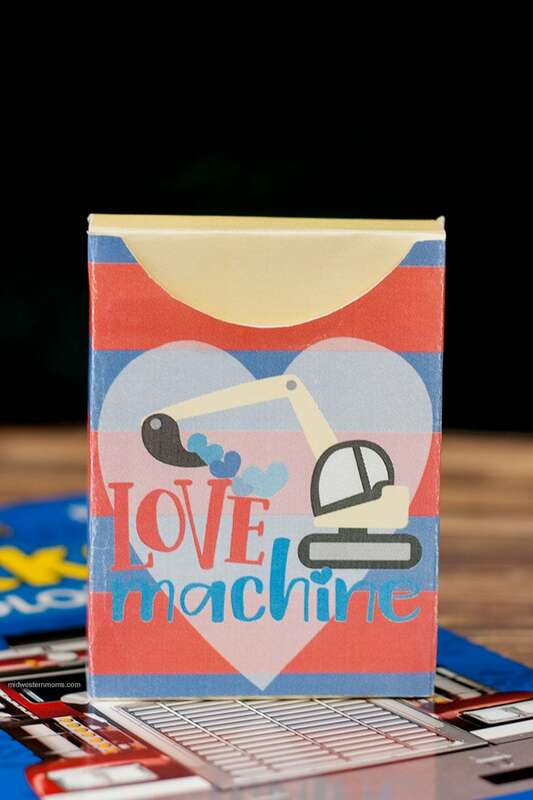 Pair it with a coloring book and it makes a perfect non-candy Valentine’s Day gift. In the newsletter box below, enter your email. By doing this, an email will be sent to your inbox that has the link to the printable. This action will subscribe you to Midwestern Moms newsletter.